A vast surface in the east of Karmania (Central – Eastern Iran) and in the south of Arachosia (South Afghanistan) stretches from the straits of Ormuz to the Delta of Indus (the area of today’ Karachi); this is Gedrosia, the present day Baluchistan. 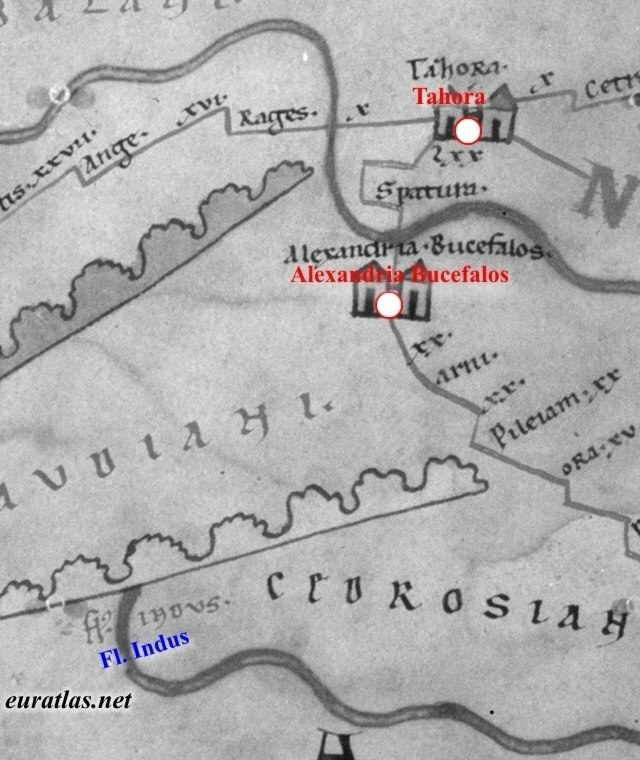 Alexander the Great of Macedonia lost most of his army in the desert and the swamps of Gedrosia. And the modern nation of the Baluchis lost their freedom, independence, progress, development and even unity, as they have been divided between Iran and Pakistan. The overall surface of Baluchistan totals ca. 550000 km2 (as large as France), and there are about 13 million Baluchis in the world. The great majority lives in Pakistan (9.5 million people), and the capital of the Pakistani Baluchistan is Quetta. In the Iranian part of Baluchistan live ca. 2.5 million people, with Zahedan for capital. A small part of Baluchistan is included in the southern territory of Afghanistan. Baluchistan reflects some of Asia’s bleakest pages of oppression and tyranny. For centuries the Baluchis were part of the Iranian Empire, at a time the concept of ‘nation’ did not exist in they way we use it today. With the division of the area between the colonial British and the nationalist monarchical regime of Iran, the Baluchis found their land divided by otherwise incomprehensible borders. A long story of humiliations, persecutions and cultural discriminations started; quite unfortunately, it has not ended yet. We will have in the future the opportunity to focus on this great land, its illustrious past, and the present struggle for Independence, Freedom, Unity and Democracy in Baluchistan. As a first, ‘introductory’ itinerary in Baluchistan, we republish here integrally a literary text of great value and remarkable insight written by a Baluchi intellectual, Mr. Aftab Ahmed Baloch, about the Baluchi emigration to Karachi, and the life of the Baluchis in the Pakistani megalopolis. Following this excellent narrative, one can understand clearly the extent of discrimination and persecution undertaken against the divided nation of the Baluchis. First published in http://www.baloch2000.com/news/32.htm, this text was republished in the Baluchi portal http://balochunity.org/opinions/1848/ , which consists in a major hub of Baluchi Culture and Politics on the web. The title of the illuminative article is quite telling. Deprived of even the most basic civic amenities, the old settlement of Lyari continues to pulsate with life. What is Lyari? The kick of a footballer, the fist of a boxer, the clip-clop of a tonga, the braying of donkey, the smell of fish and hashish. Dry water taps and tearful eyes, a police beating (perhaps, even a killing), a looting at dagger or gunpoint in a dark alley. A labyrinth of narrow alleys, streaming gutters and broken roads. Journalist Nadir Ali Shah Adil says about his native Lyari, "It's a land of magic, a zoo of hundreds of thousands of human beings". Some think of it as a sort of Harlem at the rib cosmopolitan Karachi. The oldest settlement in Karachi, Lyari was originally inhabited by Baloch tribes that migrated from present day Pakistani Balochistan and Iranian Balochistan due to tribal wars and droughts. "Till the 18th century, the city of Karachi was the only abode of the Baloch population along with Lyari river", says Yousif Naskandi, a living encyclopedia of Baloch folklore. The word Lyari is derived from the word 'Lyar', the name of a tree "that blooms in graveyards", says a Baloch at Mewa Shah. "The word 'Lyar' means the deadly silence of the graveyard", says Nadir Shah Adil. Old-timers at Lyari claim the place where they live today was the original Karachi - a fishing village named after a sage fishing woman, Mai Kolachi. Mai Kolachi had seven sons, heroes of the famous myth of Mororo. Six of the seven sons, the myth goes, were hardworking fishermen who would go out to fish in the open sea. The seventh, Mororo, would stay at home with his mother as he was handicapped and unable to walk. The brothers ventured forth to earn their livelihood even when the sea was dangerously rough, even when a huge, blood thirsty crocodile threatened them. Once the six brothers did not return from their fishing trip for several weeks and it was thought that they had been killed by the much. The handicapped Mororo then decided to go to sea, not only to search for his brothers but also to seek revenge on the crocodile. He prepared an iron-cage, the story continues, connected to mile long ropes, drawn by bulls. Arming himself with the sharpest blades, Mororo locked himself into the cage and had himself thrown into the open sea. From the protection of his cage, the disabled hero finally succeeded in killing the blood thirsty much when it tried to attack him in the deep sea. Mororo and his trophy, concludes the story, were triumphantly pulled out of the sea by the bulls. Since then, the fishing people of Lyari have sung of Mai Kolachi and Mororo, and the story has been a popular theme of Sindhi and Balochi plays and poetry. Many Sindhi nationalists term Lyari Mororo jo maag or the place of Mororo. The fishing village of Mai Kolachi was surrounded by Lyar trees on the banks of the doaba (literally, 'twin waters') along the present Lyari river. In 1725, families of pawans (nomads) from Balochistan pitched their tents along the waters of Lyari river. The second major influx came in 1770 when the Kalhora rulers of Sindh gave Karachi in lieu of blood money to the Khan of Kalat. Under the Khan of Kalat, the area saw the arrival and settlement of Baloch racers of Brohis and Gabols. In 1795, the Talpur rulers of Sindh retrieved Karachi from the Khan of Kalat. At this time, Baloch tribesman from the interior of Sindh and Seraiki belt were brought in as guards to protect the Manhora fort. In 1847, after the British conquest of Sindh, Karachi attracted migrants from the Baloch tribes of what are now the Iranian and Pakistani parts of Balochistan, providing the British with a basic labour force and military manpower. Baloch and Kuchhi labourers came in from the coast of Makoran and Kuchh to help with the laying of railway lines, construction of the sea port, the export of fish and the import of dates from Basra. Old timers at Lyari reminisce about Lea market being a great date market. A large number of Baloch families made their livelihood from fashioning packages from date palm leaves, called peesh paat. "The woken would stay home to make different things like packages and matting from date palm leaves, while the men would go to the port to work", says Khadija, an old Baloch woman. The second largest basti at Lyari was a fishing settlement called Khadda. The third was Shidi Village, inhabited by the dark-skinned, curly-haired Shidis, said to be the descendants of African slaves brought from Zanzibar. Present day Lyari, one end beginning at Lea Market and the other stretching to Garden East, is seen by many as Karachi's 'Little Africa'. In older times, Baghdadi, and area in Lyari, functioned as a slave market where African slaves were brought and sold. A prominent Urdu poet and Lyari citizen, N.M. Danish, proudly claims to be the great-great-grandchild of an African slave from Zanzibar. "Previously, women from these black families worked as nannies for the children of Hindu traders", says Ahmed Baloch, a Baghdadi resident. A back settlement at Baghdadi is named after Nairobi. With a population of about two million, it has about 50,000 persons who belong to the Zikri sect. Here Mara Donna and the Bhuttos are equally revered. Lyariites are often called Makoranis as many of them belong to migrant families hailing from Makoran, the coastal area of Balochistan. They came from areas like Dashtiyar, Chahbahar, Bander Abbas, and Sarbaz of Iranian Makoran. Within Lyari, Lyariites are divided into a strong system of caste and clan. Those of black complexion are called Shidis (blacks) or Durzadak. Those who are of Iranian origin, with fair complexions and curly blond hair are viewed as a superior race. They are called wajas (gentlemen) and their ancestors left the oases and streams of Sarbaz and Bander Abbas to settle in Lyari. Irrespective of their colour, however, the inhabitants share what constitutes a common Baloch culture. "Be they black or of Iranian origin with blonde hair, all are thrilled by the lewa or dochaapi (Balochi dances)", says Faiz Muhammad Shidi. The citizens of Lyari were among the first contributors to the city's initial process of development. The majority of these migrants made up the labor force at the Karachi port. They were porters, boatmen, donkey-cart pushers, date palm packers and gatekeepers to cinema houses. Many of their women were engaged in making products from date palm leaves a home, or going door to door to sell embroideries. In pre-partition Karachi, the settlements along the Lyari River were the only population with a Muslim majority. In those days, Baloch and Indian nationalism went hand-in-hand in Lyari. If Lyari is a book, the central Hasht Chowk with eight roads travelling off it, is its preface. On the walls of a café serving Balochi Sajji (roasted lamb) hang paintings depicting scenes from nomadic Balochi life and nationalist heroes - right from Nauroz Khan and his siblings (hanged during Ayub Khan's regime) to young Hamid Baloch (sentenced to death by a military court during Zia's martial law). The café is a hang out for the area's bookish youth, intelligentsia and social workers. Outside the dimly-lit café, the eight roads lead to the inner world of Lyari. Crowded bus company offices, parked buses ready to ferry men out to coastal Balochistan, a market called 'Jhat Pat', littered with Iranian goods, donkey cart sands, video games, snooker and carom board shops crowded with youth (many covering their heads in style with Palestinian scarves) - these are just some of the features of the Hasht Chowk landscape that draw you into the labyrinth of Lyari. Real life in Lyari begins and ends in its short and narrow alleys - some run into a dead end in just a few feet. "Lyari's problem is the lack of land", says Rafique Engineer, a PPP veteran. "If we measure the whole land area of Lyari and distribute it among its inhabitants, it will hardly give each a space for his/her grave." At many places in Lyari, there is no water supply. In other places, the water supply and sewage lines are intermingled. "To live in Lyari means to be looted at dagger-point in a dark alley", says Allah Bux Rathore, a resident, But Nasir Karim, an old Balochi resident, differs. He says "only a handful of youths are responsible for such acts. They can not represent the whole of Lyari". With the advent of the PPP, Zulfikar Ali Bhutto not only created his own personality cult in Lyari, but also effectively neutralised the political clout of the Haroons. Lyariites, who are fair game for any entertaining spectacle, thronged around Bhutto in his massive public rallies held at Kakri ground. "If my party comes to power, my ministers will clean the dirty roads of Lyari", Bhutto promised the Lyariites in one of his famous speeches at Kakri ground, a promise that was not to be realised. After coming to power, the Bhutto government did, however, give Lyariites an entitlement to lease land. Bhutto also provided water supply schemes, sewerage systems, and Lyari General Hospital. Through relaxing bureaucratic procedures and providing easy access to passports, the Bhutto government enabled thousands of Lyariites to benefit from the economic boom in the Gulf. Balochis from Makoran were not unfamiliar with the Gulf - some had been recruited to the army of the Sultan of Oman; others had left before Partition for the Bahrain oil fields. Not only did the Gulf boom create a newly affluent class in Lyari, it also reorganised the underworld with the surfacing of a smuggling ring. Yaqoob Gung smuggled workers from Lyari into the Gulf and these gangs were only busted when a launch carrying hundreds of Balochi labourers met with an accident, drowning many. The Lyariites' luck declined when Bhutto was overthrown by General Zia-ul-Haq and martial law imposed. Black clad women beating their chests and agitating youth took to the streets when Bhutto was hanged. Two Lyari boys were hanged, and hundreds flogged and jailed through the years of martial law. During Zia's era, thousands of Baloch expatriates returned from the Gulf. At the same time, large numbers of immigrants from Iran and Afghanistan settled at Lyari, bringing the drugs and arms trade with them. The international drug cartels had links with the underworld in Lyari through the 'Alexandrian route' - along the waters of coastal Balochistan and into European and African markets. Educated youth and social workers eventually united against the mushrooming of drug and criminal dens and launched the Lyari Naujawan Tehrik, a movement for the eradication of drugs and crime. The Tehrik engaged in a fierce battle with the drug dealers who were patronised by the police and politicians. Tehrik activists were either killed or their families constantly harassed by drug agents. But many people took heart from the Tehrik's example. To get the children off the streets and channel their energy in a more positive direction, volunteer organisations set-up informal schools in Chakiwara, Baghdadi, Kalakot and other Mohallas in Lyari. "Now our children get their education at night schools in the same places where there were drug dens in the past", says a woman of Singho Lane proudly. Throughout Benazir Bhutto's second tenure, the fate of Lyariites remained as stagnant as the leaking sewerage water at Khadda where they had listened to her 1993 campaign speeches. The people of Lyari had again voted for PPP candidates in the 1993 elections, but their representatives were only interested in clinching kickbacks for themselves. "Benazir's second term of power brought Lyariites nothing," says Nasir Karim. "Instead, this time, the people of Lyari not only became harshly critical of the PPP but also of Sindhis, as they were driven from the doors of ministers in interior Sindh". When asked about the PPP government's establishment of the Lyari Development Authority and its proposed abolishment by the PML-MQM government, Nasir Karim said, "Only PPP ministers and leaders benefited from the establishment of the Lyari Development Authority, as they immediately began to allot land to their favourites". In a double story katcha-pucca house in a narrow lane of the mohalla of Rangiwara, there is an ailing Balochi artist, Noor Muhammad Baloch,. He proudly displays a portfolio of paintings, which he calls his zindagi ka sarmaya. These paintings depict every aspect of Balochi Life and culture (from the birth of a child to death, scenes of war and peace, happiness and sorrow). He also has samples of rare Balochi embroidery. "I am not worried about dying but I am worried about passing on my works and rare pieces of embroidery to my qaum" he says. The tranquil life his work depicts is very different from the way Balochis live and die in Lyari today. In his own house, a young man lies incapacitated in a room, in the terminal stages of drug addiction. A younger son is an expatriate worker in a Gulf country. The youngest is a college student and part time volunteer teacher in a nearby street school. This sad story repeats itself in every fourth or fifth house in Lyari. "Aab (water) is the biggest problem in Lyari, you hear everywhere. "Why are you guys after us? Let live us in peace. Why don't you go and ask people about water", said one of a group addicts sharing a syringe to inject themselves with heroin at Lea Market. To Sharif Baloch of Kalakot, the pressure of population is one reason for the water crisis at Lyari. In many cases the water is stolen and there have been water riots in the worst of the summer. "KWSB authorities demand huge bribes for water connections. The majority of Lyariites cannot afford it, "says Sharif Baloch. In areas like Shidi village, Puri Lane, Sabirabad Lane, Singho Lane, Kalri and Kalakot there has been no water for couple of years. The women and children have to walk kilometres to carry water home. The residents of Lyari have become cynical about the promises politicians make to improve their lot. While the politicians have offered the people only empty slogans, a number of community organisations have done better. In the field of education, the residents of Lyari took matters into their own hands when the government system failed to function. Schools were set up on the street, with only durries and black-boards for equipment. The first night school at Lyari dates back to the 1950s when a man from Lyari, Hamza Rajwani, became a Session Judge and the people of the area started coming to him for tuition. He later started a night school. Ghulam Muhammad Nooruddin, a councillor to the municipality and member of the KDA board also did pioneering work in the field of education. "That is why you see more schools and educated people in a belt comprising areas like Ghulam Muhammad Lane and Rangiwara", says Nasir Karim. There are now over a hundred NGOs functioning in Lyari, most of which are registered. Community based organisations were introduced in a big way to Lyari with the introduction of the USAID programme in the country during the Ayub Khan era, when some local social organisations began donating dowry to girls of poor families and supplying decoration services for wedding ceremonies. The Lyari Tehrik, led by a veteran politician, was a socio-political body that launched a massive movement to get the Lyariites lease entitlement to their land in the early '70s. But the era of the NGOs in Lyari was actually ushered in during Zia's martial law in the early '80s, when the educated youth of the area launched an organised drive against drug pushers in various areas of Lyari under the banner of the Naujawan Lyari Tehrik. Kalakot and Baghdadi were major centers of the Tehrik's activities, as these areas had become the great drug bazaar of Lyari. When drug pushers and peddlers cracked down on the volunteers, the Tehrik retaliated by organising a danda force. Bands of teenage youths armed with sticks in their hands would go out against the drug pushers and make them run. The people of the area supported the Tehrik activists and the pushers finally retreated. After getting rid of drug pushers from their respective areas, the Tehrik activists opened street schools where their volunteers would teach the area children, charging a nominal fee of five rupees only. The people of the area responded with tremendous interest. Since the '80s the street schools in many areas of Lyari like Baghdadi, Mombasa Street, Gul Muhammad Lane, Chakiwara No.1, and Kalakot have produced a generation of teachers. Former pupils of the night streets now teach there. A trend for sending girl children to the street schools also developed as the volunteers overcame initial resistance and parents now gladly send their daughters to these schools. A number of girls have also joined them as volunteer teachers. Most of these street schools are run on a self-help basis and generate their funds from within the community. The only contribution of the social welfare department of the Sindh Government to date is a grant of 25,000 rupees in 1989 to the Naujawan Tehrik's Rangiwara branch. However, the education department has allowed these organisations to run their schools on the premises of their buildings after school hours. Though many of the former drugs dens have been replaced with night street schools, the drug pushers still operate in a clandestine way. The walls in Sabirdad lane in Kalakot continue to display graffiti demanding public hanging not only for the killers of Mir Murtaza Bhutto but also for "Drug pusher Salim Bengali". "Having a puff of hash is seen as a macho activity", says the head of an NGO running street night schools. "In my early youth, I was myself charas addict. I was told by my friends that puffing hash makes your eyes look more attractive", he says. The double or multi-story buildings replacing earlier jhuggis in Lyari belong to expatriates working in the Gulf or to local drug pushers. Being a drug addict, working in a Gulf state, joining the militant wing of a political party, becoming a sportsman, working at the port or the local electronic market or being completely jobless are all typical features of Lyari youth. Charas addicts and drunkards were converted to heroin addiction when the drug made its way into Lyari with the advent of the Afghan and Iranian refugees, just after the banning of alcohol in the country. Afghan smugglers are said to have introduced heroin in some areas of Lyari and coastal Balochistan, free of cost. "Beware, they may be police agents," whisper some youngster sitting in the narrow confines of Puri (which literally means dust) lane. In such streets, confrontation with the police has become the order of the day. Police mobiles come into the streets, cops haul the boys off, search them, in many cases beat them and take them away. "They do not even spare people coming out of their houses to escape load shedding," complain the people of Kalakot and Chakiwara. Lyari is world apart. People have been living here for generations and some families for over a century. "After leaving Sarawan, our native land in Iranian Balochistan, Lyari became our second and last home," says ageing Noor Muhammad at Rangiwara. With the exception of those who find their way to the Gulf, there are few who can be persuaded to abandon their abode at Lyari. "The Lyariites never leave their houses or neighbourhoods. That's why they seem cut off from the rest of Karachi and rest of the country". GEDROSIA (or Kedrosia),a place-name known only from Classical sources. In the Alexander biographies and later geographies the name was used to denote much of present-day southern Baluchistan in south Pakistan and southeast Persia. According to Arrian, the province extended from the land of the Oritans, along the western banks of the Arabius or Arabis River (the modern Hab, west of Karachi) and the nearby mountains (Kirthar range; the Arbita mountains of Ptolemy, Geography 6.21) to the borders of Carmania (Arrian, Anabasis Alexandri 6.22-26). The provinces of Arachosia and Drangiana (qq.v.) lay to the north, and in the south extended the Indian Ocean. Arrian says that it took Alexander sixty days to traverse Gedrosia from east to west. The capital of Gedrosia was Pura, in the west of the province (Arrian, Anabasis 6.24.1). The first satrap appointed by Alexander was Apollophanes; he was replaced by Thoas, who soon died and was replaced by Sibyrtius, the satrap of Carmania, who was now given charge of both the Gedrosians and the Arachosians. The coast of Gedrosia was described by Nearchos, Alexander’s admiral, whose account has partly survived in Arrian’s Indica (pp. 20 ff.). Southern Baluchistan is still a sparsely populated area. There is a general lack of water, and this situation, judging from Alexander’s problems crossing Baluchistan, cannot have been much different in ancient times. It is therefore perhaps not so surprising that the name of Gedrosia is never mentioned in Achaemenid sources; instead we find the name of Maka (e.g., DB 1.17), which covered much of the coastline along the Persian Gulf and the Arabian Sea. It is likely that both names indicate the same region. The center of Gedrosia, and its capital Pura, cannot be located with certainty, but it is clear from the Alexander biographies that it lay west of the main Gedrosian deserts. It should therefore be placed in Persian Baluchistan, possibly in the Bampūr oasis. Bibliography: Arrian, Indica, ed. and tr. G. Wirth and O. Hinüber as Der Alexanderzug: Indische Geschichte, Munich and Zürich, 1985. E. Ehlers, Iran: Grundzüge einer geographischen Landeskunde, Darmstadt, 1980, pp. 478-82. J. F. Hansman, “A Periplous of Magan and Meluhha,” BSO(A)S 36, 1973, pp. 554-84. T. H. Holdich, “Notes on Ancient and Medišval Makran,” Geographical Journal 7, 1896, pp. 387-405. A. W. Hughes, The Country of Baluchistan: Its Geography, Topography, Ethnology, and History, London, 1878, repr. Quetta, 1977. W. Kiessling, “Gedrosia,” in Pauly-Wissova, VII/1, cols. 895-903. H. Pozdena, “Makran: Das rückstandigste Gebiet Irans,” Erdkunde 29, 1975, pp. 52-59. B. Spooner, “Kûch u Balûch and Ichthyophagi,” Iran 2, 1964, pp. 53-67. F. Scholz, “Baluchistan: A Brief Introduction to the Geography of Pakistan’s Mountainous Province,” Newsletter of Baluchistan Studies 1, 1982/3, pp. 13-18. M. A. Stein, An Archaeological Tour in Gedrosia, Calcutta, 1931. W. J. Vogelsang, “Southeast Afghanistan and the Borderlands in the Early Historical Period: Some Further Observations and Suggestions,” Newsletter of Baluchistan Studies 4, pp. 47-59. Idem, The Rise and Organisation of the Achaemenid Empire: The Eastern Iranian Evidence, Leiden, 1992. Gedrosia is the ancient name of an area that corresponds to today's Balochistan province in southwestern Pakistan, from the Indus River to the southeastern edge of modern-day Iran. It is directly to the south of the ancient provinces of Arachosia and Drangiana, to the east of Carmania and due west of Ancient India. In 325 BC, Alexander the Great crossed the area on his way back to Babylon after campaigning in the east. Historians say he lost three-quarters of his army to the harsh desert conditions along the way. John Prevas, in his book "Envy of the Gods: Alexander the Great's Ill-Fated Journey Across Asia", says that Alexander wanted to punish his army for refusing to conquer more of India. The Indus is the longest and most important river in Pakistan.... to the southern edge of Strait of Hormoz. Babylon was an ancient city in Mesopotamia, the ruins of which can be found in present-day Babil Province, Iraq, about 50 mi... after campaigning in the east. Historians say he lost three-quarters of his army to the harsh desert conditions along the way. John Prevas, in his book "Envy of the Gods: Alexander the Great's Ill-Fated Journey Across Asia", says that Alexander wanted to punish his army for refusing to conquer more of India. Sak Baaz menat waran Banok tai pa balochistan maaloomat o agahiya.